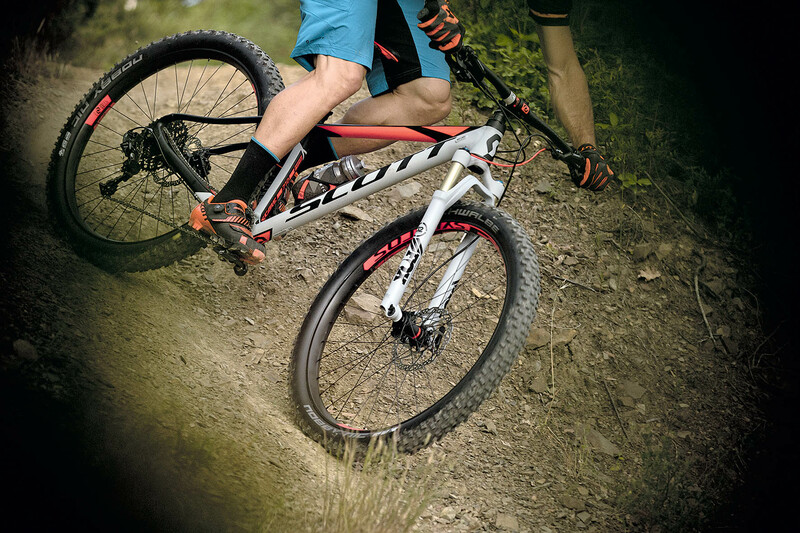 Short stems, rangy cockpits and trail-focused geometry put the Scale 710 Plus on point. Climbing traction is simply off the scale (sorry!). Punctures spoil the fun and at this price you really should get a dropper post. 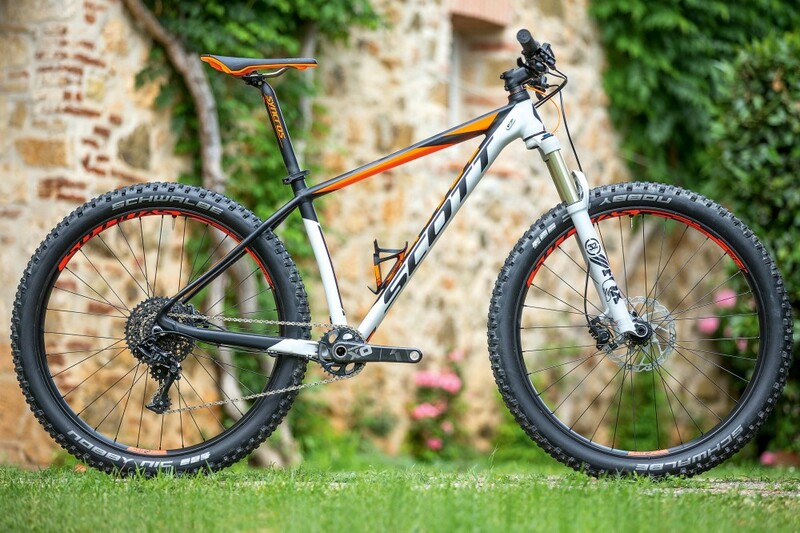 I’ve always had something of a soft spot for the Scott Scale hardtail, its slack steering geometry and sublime handling seamlessly bridging the divide between World Cup XC racing and trail riding. So when the opportunity to ride the new 27.5in Plus version presented itself, at the Scott launch in Italy, I jumped straight in. 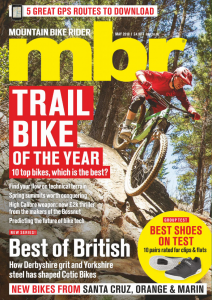 Scott hasn’t simply inflated the tyre and rim dimensions, however, it’s also shifted the focus of the new Scale Plus more towards trail riding. You can still get the classic 29in and regular 27.5in versions, but in addition there are two Plus size models with bespoke alloy frames, shorter stems and 120mm-travel forks promising levels of grip and control previously unseen on a hardtail. And the top-end Scale 710 Plus certainly delivered on that promise. On the fast-flowing trails of Massa Vecchia, I simply couldn’t believe how easy it was to maintain rear tyre grip when hammering uphill. So, no inadvertent wheel spins that would have knees smashing into stems, and not once did I feel the need to fine-tune my body position just to maintain traction. Climbing never felt so easy! Cornering and braking traction were equally impressive too, especially given the ‘fast rolling’ PaceStar compound Schwalbe tyres that come fitted as standard. After spending a full day in the saddle of the Scott Scale 710 Plus, I walked away convinced that the extra contact with the ground that the bulbous 2.8in tyres provide, will be welcome to all fair-weather hardtail riders. It wasn’t all rosy, however. To stop the weight of the wheels from creeping up and negatively impacting on acceleration, the 2.8in Schwalbe tyres have a relatively thin casing. If you’ve ever ridden lightweight Schwalbe tyres you’ll no doubt be aware that pinch flats can be an issue. Well, Plus size tyres are no different. In the end I had to up the pressures to prevent flats, which in turn robbed me of the additional cushioning I was anticipating with so much rubber between me and the trail. Maybe my expectations were simply too high; it is a hardtail after all. But, I genuinely thought that the 2.8in tyres would offer more of a magic-carpet ride. Yes, there was certainly more grip than with regular size tyres, buy I really didn’t notice any increase in comfort. With heavier casing tyres that could be run softer with reduced risk of flatting, 27.5in Plus could be a complete game changer for hardtails. Time will tell!